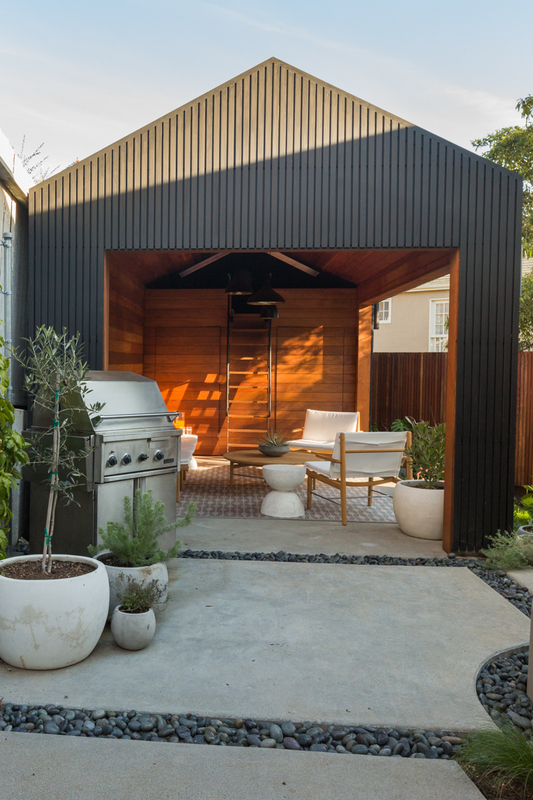 Awkwardly shaped and saddled with a run-down garage, this pie-shaped backyard posed a challenge. 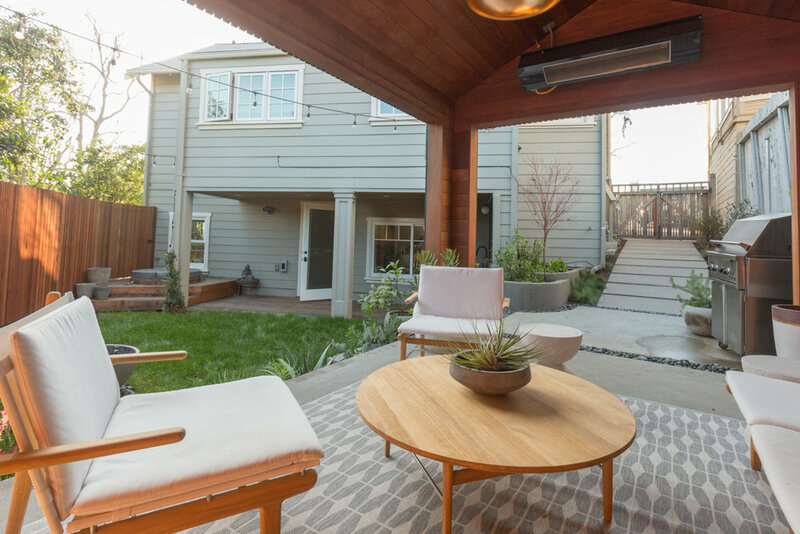 Since the city wouldn’t allow for the removal of the garage, we converted it into a garage that could also be used as an additional outdoor living space. 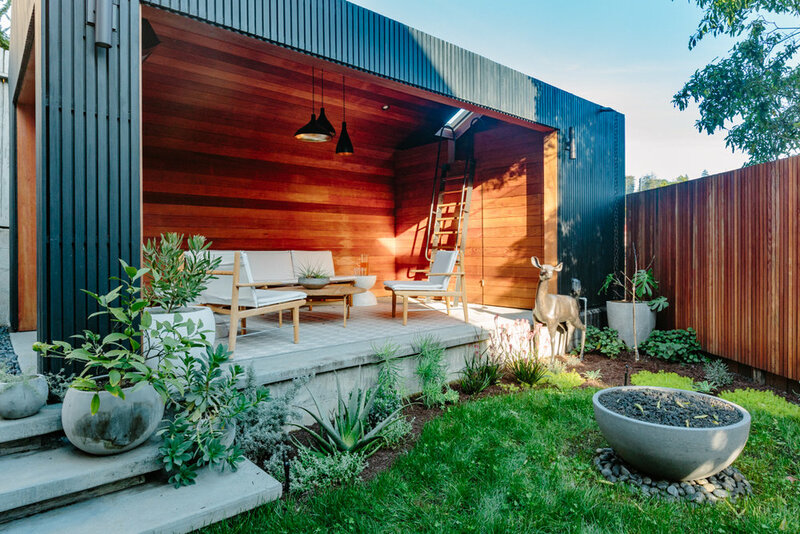 The minimalist garage takes the form of an archetypal house. The gutters and waterproofing are concealed by redwood slatted panels that can be lifted for future repairs. Black Pine Tar coats the rain screen, creating a striking contrast to the glowing warm interior of Clearheart redwood. The children had requested a treehouse, but the lack of old growth trees on the property prompted us to include a loft above the renovated garage. A hatch skylight allow kids to have a lookout over the backyard, and the chalkboard wall is great for doodling. Nearly invisible pivot doors hide storage area beneath the loft. 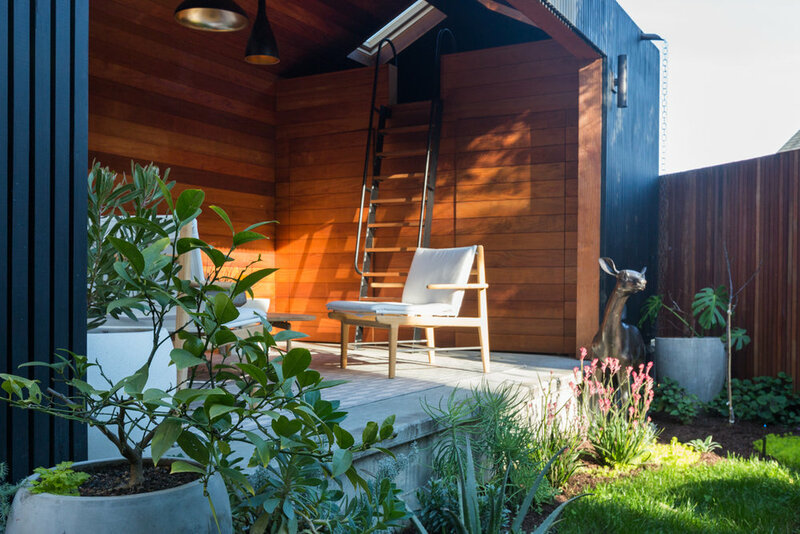 A single person cedar hot tub is discreetly sunk into a deck, the final element that completes the picture for casual California living.